Animal behavior can be influenced both directly and indirectly by anthropogenic impacts. New York’s waterways are home to a diverse aquatic community that inhabit a distinctive urban ecosystem, and may face unique challenges due to their close proximity to human populations. We are investigating the ecology and evolution of reproductive behavior of nearshore pipefishes, species that have a unique form of reproduction, male pregnancy, which they share with seahorses – both seahorses and pipefish are native to NYC waters. The collection of pregnant males and their offspring allows us to track how reproductive strategies change over space and time, and how these strategies may be influenced by local ecological and environmental conditions. 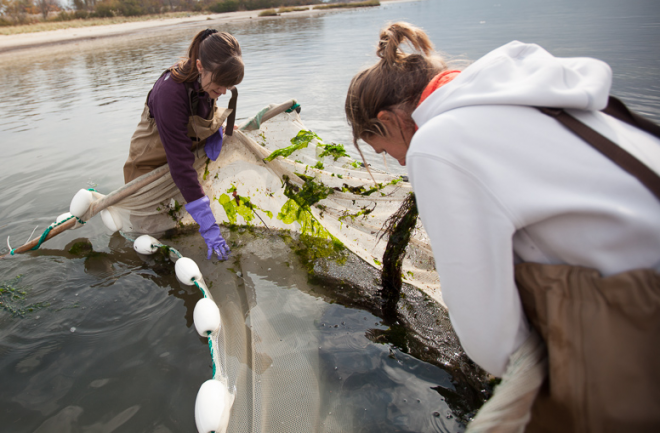 BUEE students will carry out fieldwork on local populations of pipefish, and participate in behavioral experiments in Brooklyn College’s Aquatic Research and Environmental Assessment Center aimed at determining what factors influence reproductive decisions in this species.